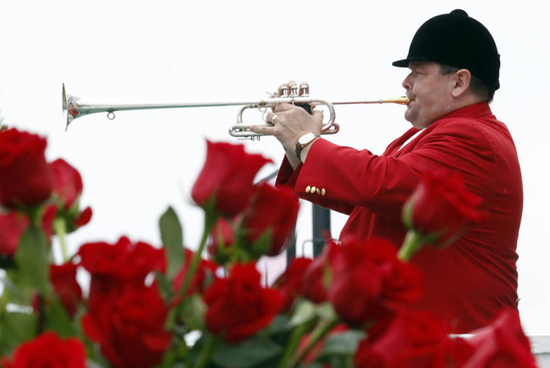 Next Saturday is the running of the 142nd Kentucky Derby — also known as The Run for the Roses. 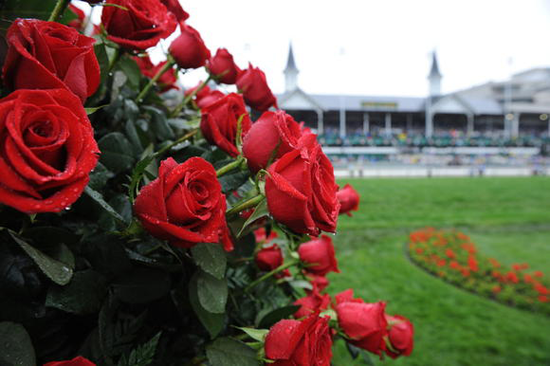 There's something captivating about the Kentucky Derby — green grass, majestic horses, colorful jockeys, outlandish hats, mint juleps, and roses. LOTS of roses! 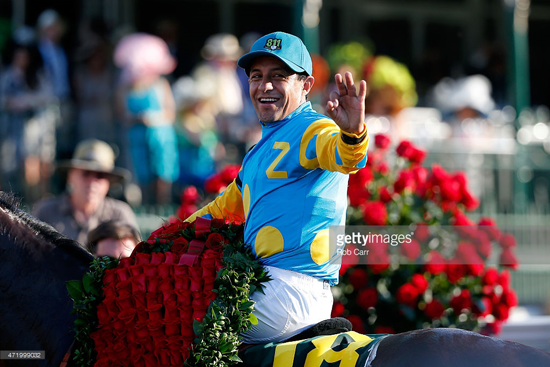 The Most Exciting Two Minutes in Sports has a lot to offer whether you're a sports fan or not. The pageantry is bar none. 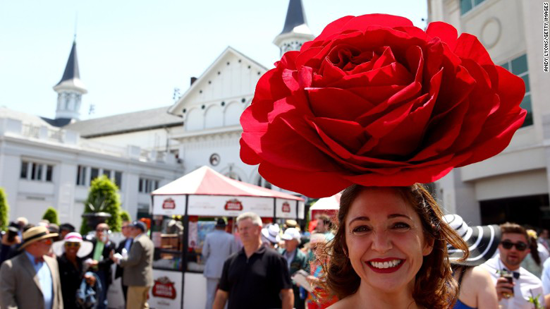 There is MUCH to inspire when you watch the Kentucky Derby! All of those glorious roses! 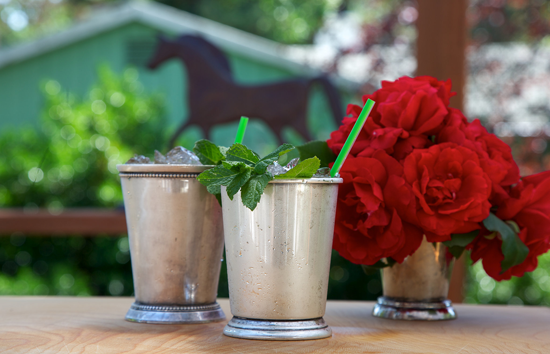 And I'll take a mint julep (or two or three! ), pretty please! My Favorite Things has some gorgeous rose products to make your paper crafts spectacular. 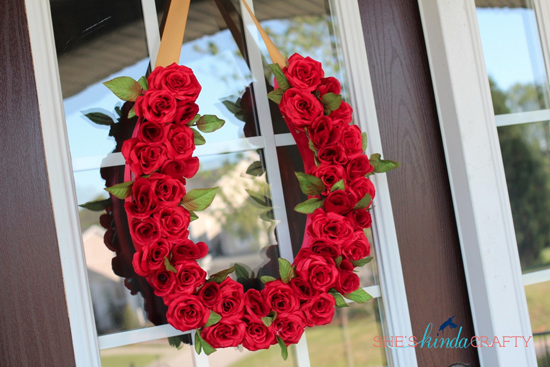 Let's take a look at some awesome projects that will inspire you to create with roses! Red roses steal the show in Julia's gorgeous project. 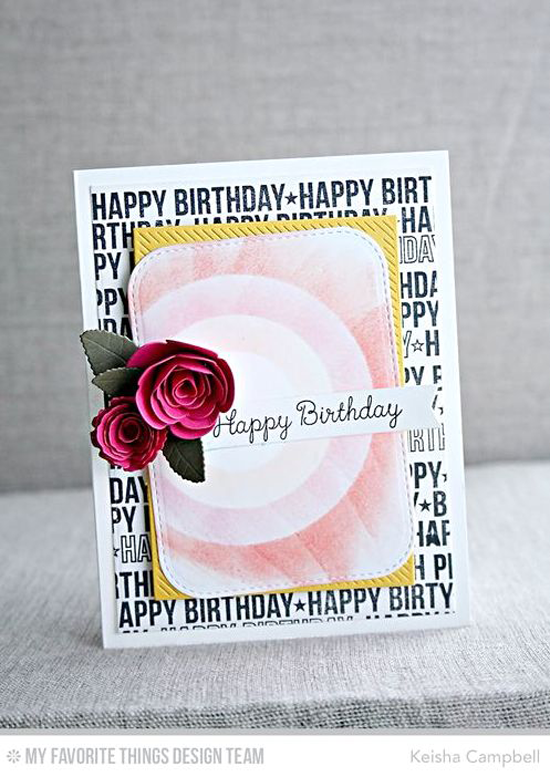 Her combination of the Scribble Roses and Scribble Roses Overlay Die-namics make for a simply STUNNING card! Keisha has a knack for incorporating our collection of rolled flowers into her designs. 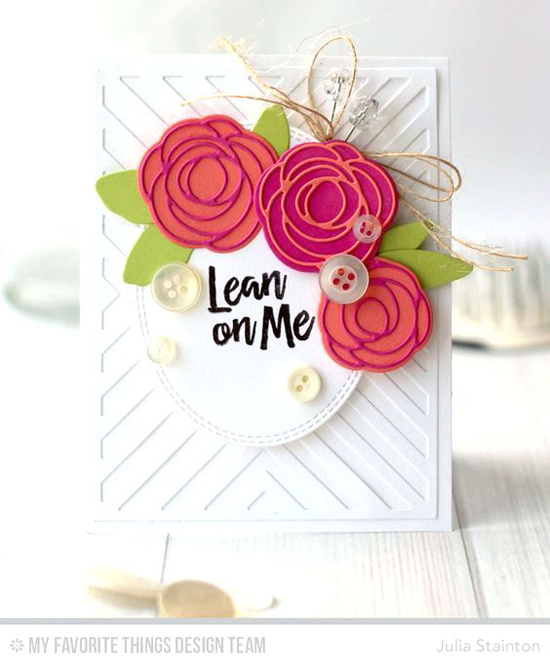 Here she features the Mini Royal Roses and Rolled Scalloped Rose Die-namics. Showstoppers, for sure! 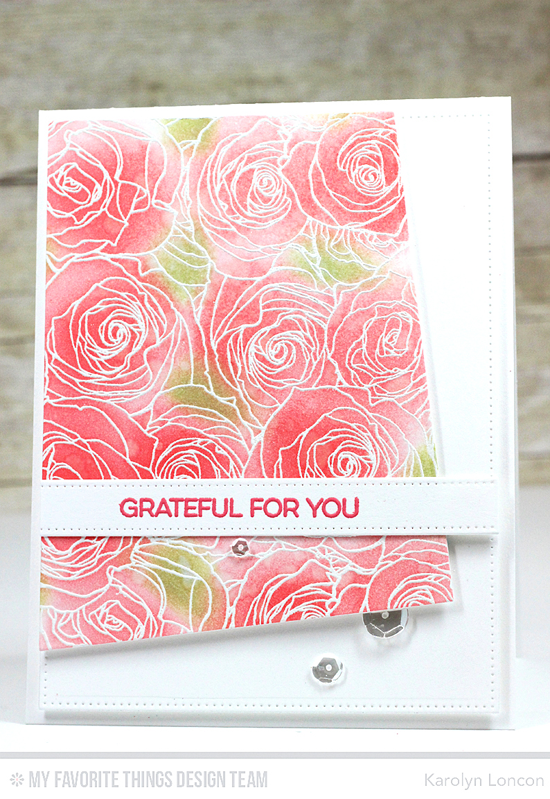 One of my very favorite background stamps from My Favorite Things is the Roses All Over Background, and Karolyn's use of it is seriously DIVINE! 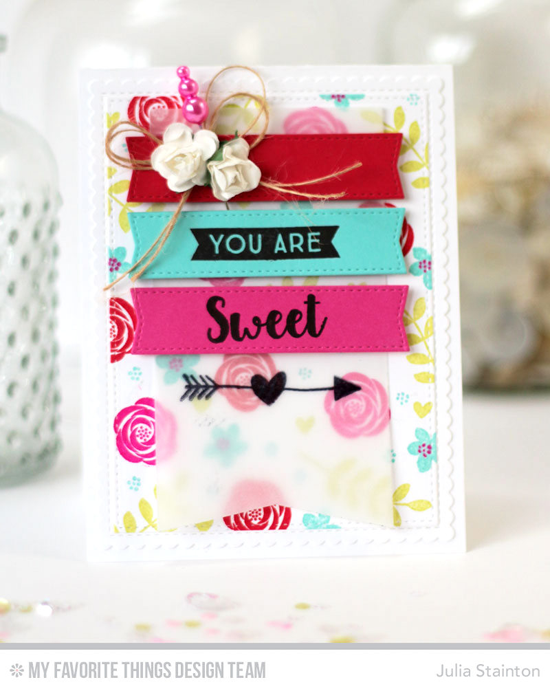 Sometimes the little accents in a stamp set get overlooked, but Julia features the oh-so-pretty rose found in the So Much Love stamp set on her delectable design! 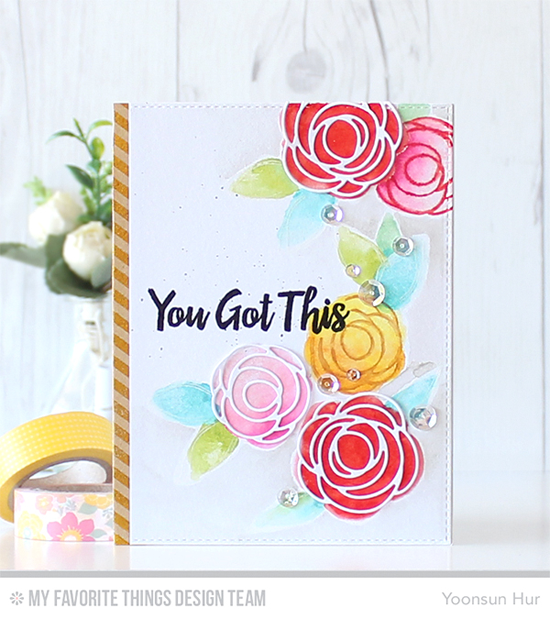 Yoonsun's rosy card features the Scribble Roses stamp set AND the Scribble Roses Overlay Die-namics for a riot of color and delicious dimension. Before you go, take a look at a few of the delightful red and rosy things you can buy at the My Favorite Things online store! Simply click on the photo to be taken directly to the product. If the product is currently out of stock, you can sign up for an email notification once it's back in stock! i love all these projects. i was just thinking i need to get that die out and use it. thanks for the inspiration.